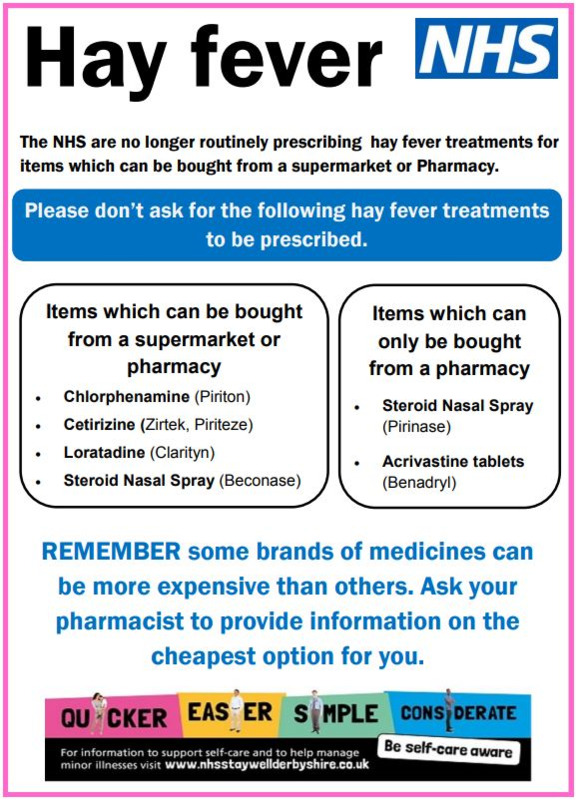 Hay fever medicines removed from repeat prescription, in line with NHS England guidance and the Derbyshire self-care policy. Easter Holidays - please can patients ensure their prescription has been ordered for the Easter holidays as this puts pressure on the practice if you do not order on time. The District Nursing Team contact number has now changed. Please call 01332 564900 for urgent and non-urgent calls.